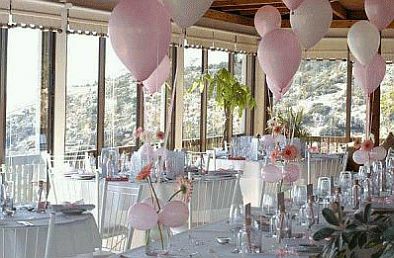 If you are interested in decorating your wedding with balloons, but you still have some doubts about how well it can be, come on, that the results are actually pretty good when you have good taste and the right design. 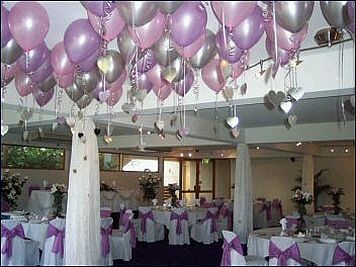 The great advantage of working with balloons is that you can make beautiful color combinations and arrangements achieve quite high if you prefer. 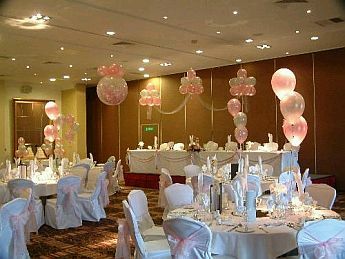 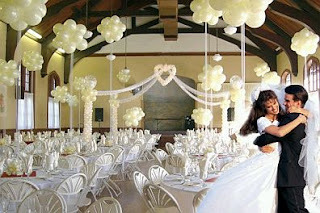 Here are some ideas that will make insurance or decide to return, by the idea of ​​decorating your wedding with balloons. You can choose soft colors combine beautifully with white tablecloths and chairs. 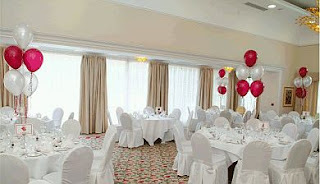 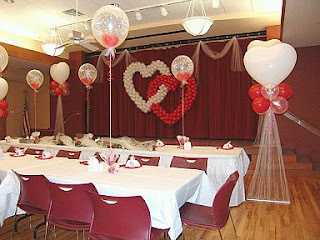 Proposal ideal for an informal ceremony, is to combine red and white balloons, round and heart-shaped. If you want the decoration look more elegant, just dress the chairs and tablecloths appropriate use, that way arrangements with balloons will combine with elegance and good taste. If you thought the white color used on tables, chairs, tablecloths and arrangements, might not be quite right, this shows you otherwise, in this particular case the centerpieces made with balloons, give a very romantic touch on the environment. 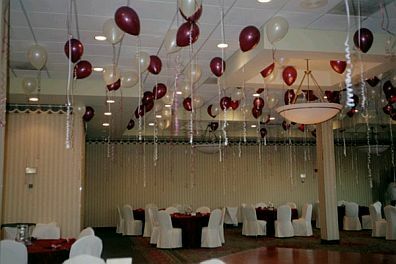 But you also have the option of using balloons, not as centerpieces, but stuck to the ceiling, this gives a great visual effect to the atmosphere of the celebration, this you can see from the following pictures. In this case the colors of the balloons are the same at chairs and tablecloths. Similarly, it is clear how well is the combination of these balloons stuck to the ceiling, and the chairs tapes. 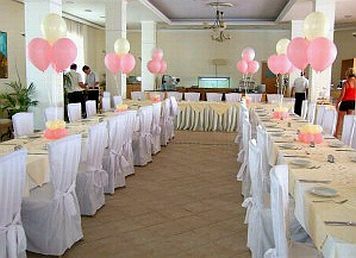 A different option that makes the place look even more elegant. 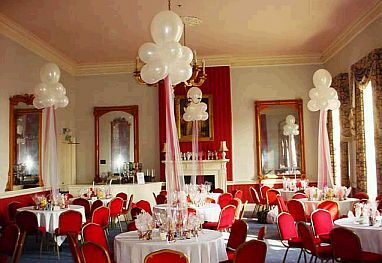 If you prefer something lighter, in this picture you can see how well are red balloons in combination with the white of the rest of the decor. 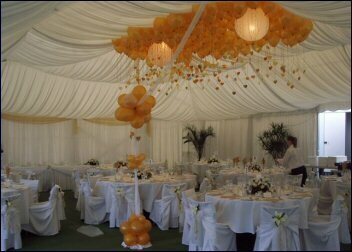 Beautiful decoration option with balloons and flowers, in both cases, it is extremely simple arrangements. Finally, success also depends on the chosen decor of the room, in this case the arrangements with white balloons and red and white ribbons, are the perfect complement to the chairs and lounge in general.